Rotarian and Judge Jeff Addison starts the 2017 Run the Rails Half Marathon. 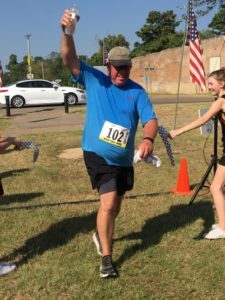 Each fall, the West Bowie County Rotary Club hosts a half-marathon fundraiser for the club. The date for this year’s race is October 12th, 2019. Participants may walk or run the entire course, or they may team up with two or four others to transverse half or a quarter of the course. 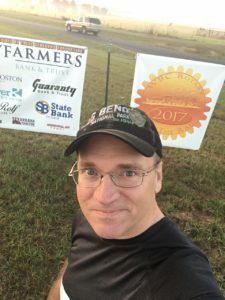 This race, our fourth annual, is being run from DeKalb, Texas, to New Boston, Texas, on the northeast terminus of the longest (130 miles) hike/bike trail in Texas. The Northeast Texas trail runs from Trailhead Pavilion in New Boston, Texas, to Farmersville, Texas. In the late 1990’s, two railroads, the Union Pacific and the Chaparral, decided to cease active service and “rail-banked” this stretch of rail bed making it available for non-motorized activities. A post-race celebration will take place at the finish line at the Trailhead Pavilion in New Boston. Click here to register for the race. This will take you to runsignup.com where you can register for the race. 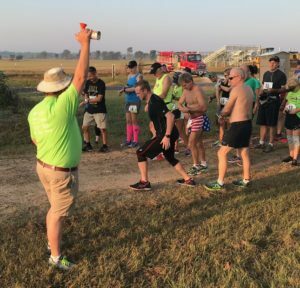 Runsignup.com is a leader in race registration and will ensure that your registration information is well taken care of. You may also register for the race by coming Friday evening to Trailhead Park under the pavilion at 6:00 PM. We will take final entrants and registrations the evening of October 12th, 2018 until 8:00 PM. 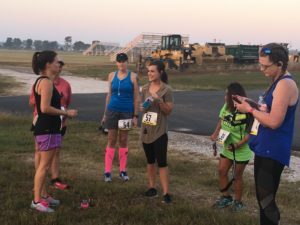 The cost of the race is $55 for single runners, $50 per person for a relay of two, and $45 per person for a four-person relay. 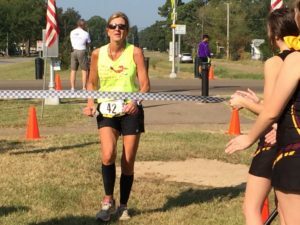 This race follows the Northeast Texas Trail from DeKalb to the trail’s terminus in New Boston, Texas. The race begins in DeKalb, Texas on the NETT right next to U.S. Highway 82 about 1/4 mile east of the intersection of U.S. Highway 82 and U.S. Highway 259 and just east of NW Martin Luther King Junior drive. The improved dirt trail runs through DeKalb going east, into and out of Malta, TX, and into New Boston at the intersection of Texas State Highway 98 and U.S. Highway 82. From there, it runs along a paved stretch until it reaches Trailhead Park in downtown New Boston, Texas. The length of the race is 13.1 miles. There are several road crossings along this route. Volunteers will be present at each road crossing to ensure that traffic stops. We want you to be safe while running! We will also provide nutrition and aid stations along the route at miles 3, 5, 7, 9, and 11. These stations will provide water, Gatorade, bananas, nutrition bars, and other fruit. You may bring your own cup, if you wish and fill it. Attendants at the nutrition stations will also hand you a drink in a cup and pick up your cup after you are finished with it. The race begins on the west side of DeKalb, Texas. To facilitate the participants’ timely arrival, the Rotary Club will provide transportation to this location. You may park at Trailhead Park in New Boston, Tx and then ride the bus to DeKalb, Texas for the start of the race. 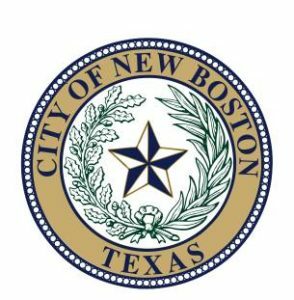 Please arrive in New Boston at 7:00 AM. There will be two buses to transport participants at two different times. If you miss the first bus, you may take the second, but if you miss the second, you may need to provide your own transportation. 7:30 AM – Walking participants begin the race. 8:00 AM – Run/Walk participants begin the race (this includes relay runners). The male and female winners of this race will receive a $100 and some other nice prizes that some of our sponsors provide. Every walker and runner that finishes the race will receive a finisher medal for this event along with a promotional t-shirt and goodie bag. 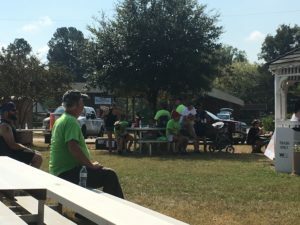 After the race, participants are invited to relax and visit at the Trailhead Park in New Boston, Texas. We serve a wonderful chicken-fajita meal with all of the fixins. Water, Gatorade, Ice Tea (Sweet and Unsweet) and Chocolate milk will be available to all runners so that they can replenish their nutrients at the race’s end. You will not want to miss this great time of relaxation and family fun! On your GPS device or google maps, search for Trailhead Park, New Boston, Tx. This will bring up a route on your electronic device to Trailhead Park where the race kicks off. Otherwise, see directions below. From Dallas, hop on Interstate 30 going east. Take exit number 201, and turn right on N. McCoy Blvd. (State Highway 8). Go south approximately a half mile and take the exit ramp after the light at E. Hoskins St. Take a right onto U.S. Highway 82. Go through the light at the intersection, and make a u-turn into the parking lot to the south. This is New Boston’s, Trailhead Park. From Houston, hop on U.S. Highway 59 N. to Linden, Tx. In Linden, turn left on State Highway 156, then right onto State Highway 8 North. Stay on State Highway North to Maud. Turn left on U.S. Highway 67 in Maud. Go about three miles and turn right on State Highway 8 North to New Boston. When you cross the bridge stay right and exit onto the ramp for U.S.Highway 82. Take a right onto U.S. Highway 82. Go through the light at the intersection, and make a u-turn into the parking lot to the south. This is New Boston’s, Trailhead Park. From Little Rock, get on Interstate 30 going west. Take exit number 201, and turn right on N. McCoy Blvd. (State Highway 8). Go south approximately a half mile and take the exit ramp after the light at E. Hoskins St. Take a right onto U.S. Highway 82. Go through the light at the intersection, and make a u-turn into the parking lot to the south. This is New Boston’s, Trailhead Park. From Shreveport, LA, get on Interstate 49 and go North to Texarkana, TX. When you get to Texarkana, take Loop 151 west toward Texas. Stay on the loop until you get to Interstate 30. Take Interstate 30 west to New Boston, Texas. Take exit 201 and turn left at the light. Go across the freeway and continue south on N. McCoy Blvd. Go south approximately a half mile and take the exit ramp after the light at E. Hoskins St. Take a right onto U.S. Highway 82. Go through the light at the intersection, and make a u-turn into the parking lot to the south. This is New Boston’s, Trailhead Park. Much of our fundraising comes from sponsors. These are businesses that want to support the efforts of the club and advertise their products at a high profile community event. Sponsors may purchase a $500,00, $750.00, $1000.00, or $2500 package. The benefit of these kits is name recognition at the start and finish of the race. Recognition throughout the race as presenting sponsor. Press release recognition as presenting sponsor for the race. The presenting sponsor’s logo will be prominently displayed on the T-Shirt and all event materials. Company logo will be prominently displayed on banners throughout the race and the Rotary year at all of the club’s events. Promotional materials placed in participant goody bags. Additional promotional efforts within reason. Company logo displayed on half marathon T-Shirts. Company sign displayed on the race course. 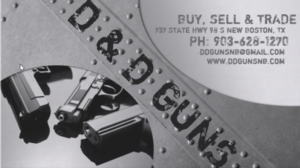 Company logo displayed on all event material. Promotional materials placed in participants goody bags. For additional sponsorship details, contact Louis Terrell.